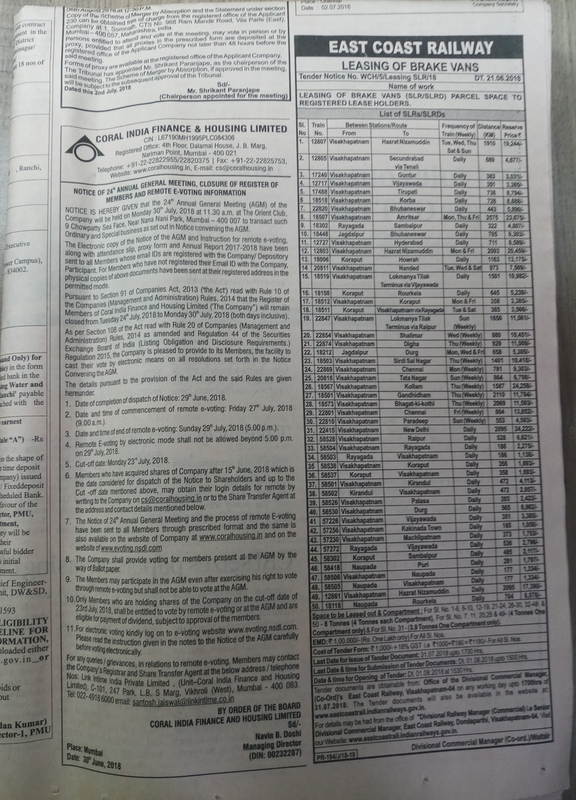 Coral India Finance and housing Ltd.
** Transfer of Shares are mandatorily in DEMAT form w.e.f. 05.12.2018. Physical Shareholders are advised for dematerializing their shares. 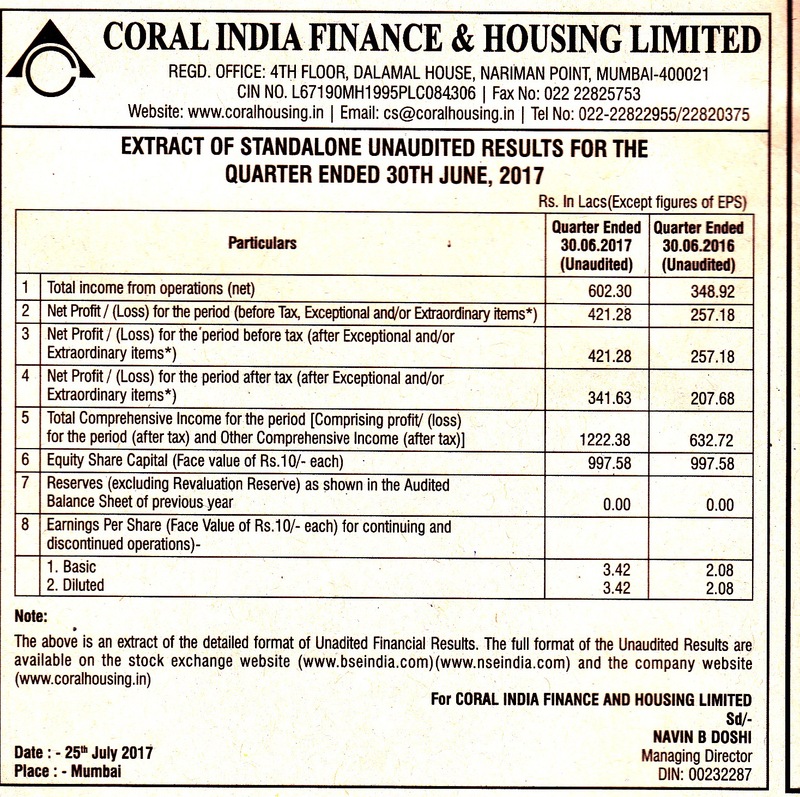 Coral Indian Finance and Housing Limited.